Outnumbered by boys in the house? 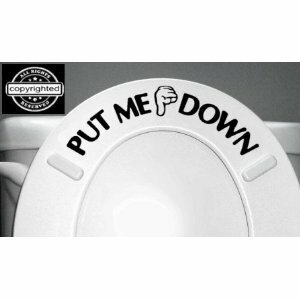 😉 Click here to visit the Amazon site and you’ll be able to score a “Put Me Down” toilet seat decal for $2.75. They’re also offering free shipping and a free glow in the dark light switch plate decal. You can click here to view more of Sodial’s deals.